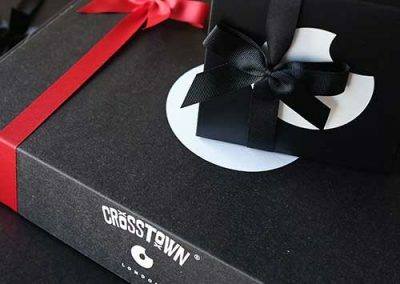 Since launching onto the London street food scene in 2014, we have aimed to steadily convert the city to appreciate Crosstown doughnuts. We have built an organic and loyal following of customers, by embodying a strong appreciation for quality ingredients and a fresh premium product. We pride ourselves on hand making our doughnuts from scratch 365 days of the year and using only the best ingredients. We are an artisan bakery based in SW8 (Vauxhall locality), Central London, specialising in handmade sourdough doughnuts. We are active 365 nights of the year, supplying our own outlets and premium clients and accounts. We are after reliable, honest people only who have a desire for a long-term position, a really positive attitude and checkable references are essential. This is a great opportunity to be a part of a fast growing progressive business with opportunity for career progression. With an increasing number of outlets across London, there is great scope for professional growth within the company. The boundaries of how far you wish to take your involvement in an independent, growing, innovative company are limitless.